The so-called Brics nations – Brazil, Russia, India, China, South Africa – have a vital role to play in the future of the world economy. When the top leaders from Brics countries, the most prominent emerging market economies – Brazil, Russia, India, China and South Africa – put their heads together in Durban late March, what should the world expect from them? After each of their first four meetings, the five countries have come out flying. But will these “economic locomotives” keep their momentum? Do Brics really mean business? The answer is yes. The motive for Brics countries to form a partnership derives from their shared quest for economic and social development and for access to new markets. Cooperation serves not only the common interest of Brics members, but also the global economy at large: the Brics countries now account for 19 per cent of world GDP and 61 per cent of overall global growth. It may also explain why Brics attracts so much attention. Concerns that a G5 will arise, to rival the existing G7. They are understandable, but unfounded. Brics is committed to creating a more democratic and equitable international system, rather than challenging or reconstructing the one we have. As in an orchestra, Brics is the new player joining the performance, adding its own elements for a richer symphony, not playing another tune. 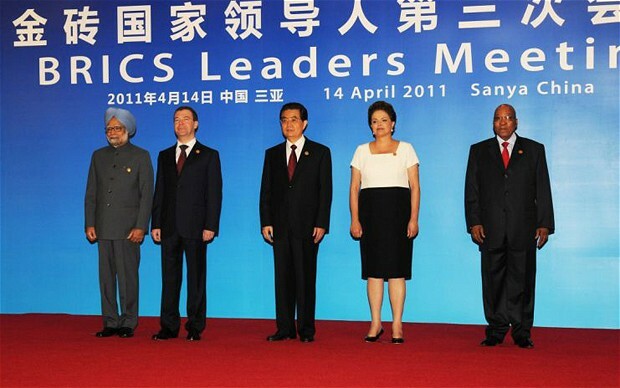 Brics puts development high on the agenda, with the goal of common development. Cooperation between members has been flourishing in recent years and is now covering a wide range of fields, such as trade, banking, taxation, customs, public health, science and technology, agriculture, and culture. In 2012, a Brics development bank was put on the table. Once established, it will serve as a stimulus to development in Brics members, as well as in other emerging and developing countries. A Brics joint reserve pool and a business council are also under discussion, which are expected to forge closer financial and trade ties among members.